January 16-21, 2011. The largest cruise liner in the world up to date, Royal Caribbean's Allure of the Seas on a 7 day sail in the West Caribbean. 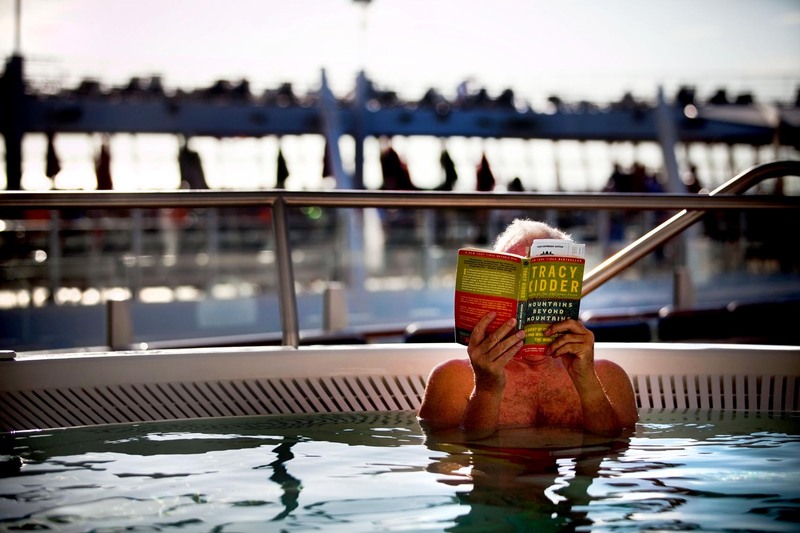 Here, a passanger enjoying a book in one of several hot tubs on the ship. Piotr Redlinski for The New York Times.